Kapil Sharma does not really need an introduction. He is simply an entertainer, who makes us laugh, when we might or might not need the laughing therapy. He performs the most difficult task of changing our mood and bringing us back to the happy hours of our life. He is not just a comedian, an actor or a singer but he is someone who holds the power to make us smile at the end of the day. Within a very short period, he has marked various milestones which itself convey the success of his career as an Indian stand-up comedian, television presenter and actor. He is unique in his own ways. All of us might have witnessed his journey from the year of 2013 when he started hosting one of the most popular comedy shows, i.e. Comedy Nights with Kapil. This show marked the turning point of his life and he never looked back since then. At present, he is hosting another comedy show on Sony Entertainment Television named The Kapil Sharma Show. It’s a show that we love to watch for the sake of making us happy for some time. This is the reason why we want to throw some light on the challenges and phases that Kapil Sharma faced to stand at the place where he deserves to be. He ranked 95th when he appeared in the Forbes India Celebrity list in 2012. He was awarded the CNN-IBN Indian of the Year 2013, in the Entertainment category. Forbes India ranked him 27th on their Celebrity-100 list in 2015. He was ranked third in the Most Admired Indian Personality List by The Economic Times in 2015. Ormax Media rated him the most popular Indian television personality in April 2016. He was nominated for the Swachh Bharat Abhiyan, initiated by the incumbent Indian Prime Minister Narendra Modi. Sharma was invited to the Rashtrapati Bhavan by President Pranab Mukherjee in September 2015 to acknowledge his contribution for the same. His jouney at a glance! 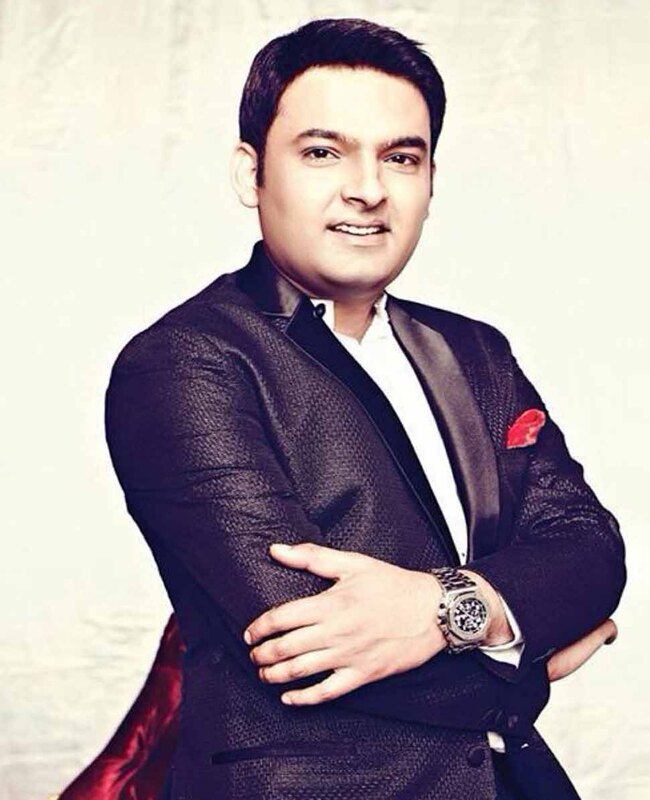 Kapil Sharma was born in Amritsar, Punjab. He is the son of head constable in the Punjab Police Jeethendra Kumar. Sharma understood the real meaning of ‘responsibilities’ when he lost his father who died of cancer in 2004. This was the time when suddenly everything around him had to change and he had to grow himself all at once. His family’s financial condition has never been so good and so he had to manage time while doing a part time job at a phone booth after class 10th to earn his pocket money. Sharma studied at the Hindu college in Amritsar, Punjab and was always inclined towards theatre and comedy. In order to give his interest a chance and pursue it professionally, he joined a theatre group in Amritsar and moved to Delhi along with them to perform a couple of shows. In the year of 2005, an “accidental comedy” happened in his life when Sharma got his first television break for a Punjabi show called “Hasde Hasande Raho” on MH One channel at the age of 24 years. And, so the journey begins! What we call a big break for Kapil Sharma is “The Great Indian Laughter Challenge” in 2007 for which he initially had to fight a battle that he eventually won with a prize of 10 lakh rupees. During the auditions, Sharma was rejected in his own city, Amritsar. He decided not to give up, and later went to Delhi to try his luck for the second time. And yes, he got selected. Not only was the selection written in his cards but also a victory for being the winner of season 3 of the show at an age of 26 years. At this point of life, he realized that this is just the beginning of what “he could achieve”. Thereafter in 2008, Kapil performed his art of making others laugh in various famous comedy shows including Chote Miyan, Jhalak Dhikla Jaa, Ustado ke Ustad and so on. What happened next is that Sharma was asked to participate in a wonderful laughter show, “Comedy Circus”. The people who asked him to do so were none other than the creators of The Great Indian Laughter Challenge who admired the hidden talent of Sharma and wanted him to explore that talent even more. And, he won the show for all of the 6 seasons that showcased his tremendous potential as a great “comedian” and “artist”. In 2013, he emerged as a successful entrepreneur at an age of 32, when he launched his own production house K9 and eventually his own show “Comedy Nights with Kapil”, which defines comedy in today’s era. His show entertained more than 10,000 TVTs and by 31st October 2013, Kapil earned 4.5 crores a year. Kapil entertained his fans with his first Bollywood project, “Kis Kisko Pyar Karun”, directed by director Abbas Mustan. The romantic comedy film marked Sharma’s entry into Bollywood and received overwhelming response at Box office. The film collected ₹10.15 crore (US$1.5 million) nett on its opening day and became the highest first-day grosser for a newcomer, beating the previous record holder “Student Of The Year”. The film grossed ₹5.10 crore (US$760,000) in its second week to take its total to ₹48.60 crore (US$7.2 million) after two weeks, which shows that Sharma has been successful in his endeavor. Sharma promotes animal rights and became a part of PETA campaign to promote adoption of homeless cats and dogs. In July 2014, he adopted a homeless dog ‘Zanjeer’, a retired police dog from Mumbai. He has also campaigned to save tortured elephants across the country. In 2011, Kapil made this world remind of his love for music when he presented himself as a wild card entry in a famous Zee TV Singing Show- “Star Ya Rockstar”. Kapil has always dreamt of being a singer since his childhood days. However, singing has always remained on the sidelines as something huge was destined to take place in his life. On September 25, 2013, Kapil experienced one of the most tragic incidents of his life when entire set of his comedy show got burned and collapsed instantly, at Film City Goregaon, Mumbai, leaving behind a loss of rupees 200 million. However, he did not lose hope and continued while using a temporary set. Within a short span of time, he managed to come up with a new set made with the support of his friends and well-wishers. He suffered a slipped disc in February 2015 while shooting for a song for his debut movie, “Kis Kisko Pyaar Karoon”. Kapil Sharma is truly an inspiration to each and every person who wants to chase his/her dreams and eventually achieve them with immense dedication while facing all the challenges throughout the journey. Go and grab it! If he can, why can’t you!